The ruling Zanu PF party has been warned against using vending stalls for political gains saying the informal sector needs to remain apolitical. Addressing a news conference in Harare today, Director of the Vendors Initiative for Social and Economic Transformation (VISET), Samuel Wadzai accused the ruling Zanu PF of abusing vendors as political tools used to gain momentum and power. “Vendors do not belong to any political party, we come from different backgrounds with have different political interests, i believe to remain apolitical because that is the only way we can go forward,” said Wadzai. “We have to approach the government currently in office so they address our concerns but that does not mean we are part of them, the government has been at the forefront of politicizing vending for their political purpose, like what we see in the allocating of marketing places,” added Mangoma. 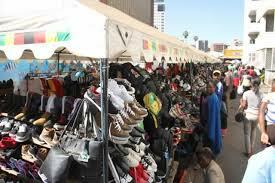 Meanwhile, vendors will be taking part in the Citizen Manifesto convention set to take place in Harare on Friday. The convention will among other things discuss key issues affecting citizens. The convention will be held next week Friday and will be attended by civil society organizations, activists and social movements from across the country. According to the Convener of Citizens Manifesto, Briggs Bomba, the convention seeks to bring citizens together to craft a collective vision for the country. “The political developments in our nations since November 2017 and the impending elections of July 2018 make it ever more critical for citizens to come together in crafting a collective vision for their beloved country as well as agreeing on a road map towards fulfilling that vision,” said Bomba. Program Coordinator, Tafadzwa Muropa urged Zimbabweans to attend and make their voices heard.